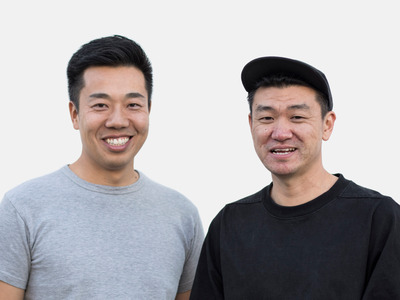 GOATGOAT cofounders Eddy Lu (Left) and Daishin Sugano left the safety of their corporate jobs to eventually venture into the online sneaker marketplace. Cofounders Eddy Lu and Daishin Sugano’s story doesn’t start with the sneaker app GOAT. The two developed thick skin from failed venture after failed venture before launching the online sneaker marketplace in 2015. Now the company has a fresh $US60 million in funding with traction and popularity to match. Eddy Lu and Daishin Sugano quit their boring corporate jobs on the same day eleven years ago. The two college friends had no idea they would eventually run a super-buzzy online sneaker marketplace called GOAT that has scooped up nearly $US100 million in funding and has 7 million fervent users. Sneakers were the furthest thing from their minds. And it would be many years, and many failed business ventures, before the duo found the right formula by tapping into the passionate ranks of sneakerheads. At the time, the only thing the two budding entrepreneurs knew was that they didn’t want their corporate lives and they had a hunch that the recently released iPhone would provide an important platform for new types of businesses. “We were just like, ‘Let’s do a business together,'” Lu tells Business Insider. The multiyear journey took Lu and Sugano to different cities and different industries, not to mention through the depths of the financial downturn. And the events that led them to create GOAT is a case study in the perseverance, passion and simple chance that often form the basis of a startup success story. “In our wildest dreams we never thought this would really happen,” says Sugano, 37, shortly after GOAT announced the acquisition of Flight Club, an iconic sneaker store that will give the startup its first retail presence. Lu and Sugano, who both grew up in LA, each had contacts in China. So they first gave the Import/Export business a try. They launched a golf apparel company, during which time Lu took sewing classes to hone his seamster skills. They ran an online tea business and to this day can call themselves certified tea masters as a result of the endeavour. They built countless 99 cent gaming apps for iPhone users. Nothing stuck. One day the two wandered into a Beard Papa’s restaurant in LA, and, blown away by the flaky, custard-filled cream puffs in their hands, decided to franchise the Japanese chain for some “passive income” while they worked on their projects. But it was 2008, the financial crisis was in full swing and, because of the downturn, they couldn’t hire managers. “Going through 2008 as a business owner you definitely earn your stripes,” said Lu. Lu and Sugano’s cream puff days were painful, but they taught the entrepreneurs fiscal responsibility and resilience. And it provided the spark for their next adventure. Who wants to eat with strangers? 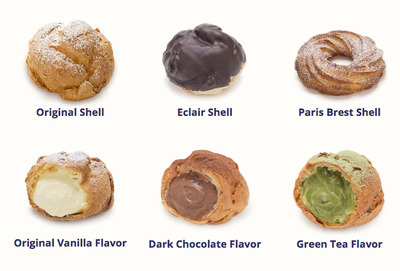 In 2010 Lu and Sugano moved to Chicago with the intent of expanding upon Beard Papa’s presence in the Windy City. Once there, they discovered how difficult it can be to meet people in a new city. So they founded GrubWithUs, a dining app that arranges meals between strangers. The concept was innovative: reserve a seat at a participating restaurant for a meal that piques the user’s interest. When four people reserve a spot for the same meal at the same table, the meeting is set, and a handful of lonely strangers could socialise with their peers over dinner. The startup got funding from Y Combinator, and the two moved back to California in 2011 to run GrubWithUs from there. But the app never became very popular. Users either had too many dietary restrictions for the meals listed in the app, didn’t like the menu, thought the restaurant was too far away, or were too skittish about having dinner with unfamiliar faces. GrubWithUs gradually fizzled out over the next few years. Everything changed thanks to a pair of fake Air Jordans. GOAT.comA pair of 2013 retroed Air Jordan 5 Grapes currently listed on the GOAT app. Sugano has been a bona fide sneaker enthusiast and basketball player since at least ten years old when his dad bought him his first pair of Air Jordan 5 Grapes. 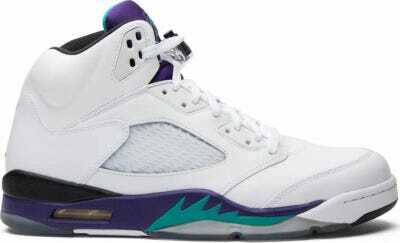 In 2013, the shoe was re-released 23 years after its debut (Michael Jordan’s jersey number was 23). When he saw the Grapes were made available once again, he acted fast. “Nostalgia hit me, I saw the photos: I had to have the shoe again,” Sugano recalls. So he turned to eBay, which was then the largest sneaker marketplace. He mined the site for the shoe, ordered it, and when it showed up on his doorstep, he realised it was a fake. When he complained to Lu about how the online sneaker market had no authentication process, Lu asked him if there was room in the industry for a brand devoted to monitoring fraudulence between sellers and buyers. The founders started off with $US7.6 million in funding from a handful of venture firms, including Reddit cofounder Alexis Ohanian. Their first step was to build and refine an authentication process to combat fraud in the online sneaker market. Both sellers and buyers use the app, with sellers required to apply before they can sell their sneakers. They’re also required to take standardised photos from different angles of the shoe, i.e. the heel, the sole and the lateral sides, which are then processed. GOAT uses these images to build a database of what authentic sneaker models look like – and how to spot replicas. “It’s a combination of image recognition with machine learning because we get so many of the same type of shoes in our building every single day,” said Lu. Only once the sneaker passes the authentication process does it become activated for sale. From then on the seller interacts with buyer offers and receives a shipping label from GOAT once a sale has been made. Then the item is sent to either the company’s Culver City or New Jersey distribution center, quality controlled, further authenticated and shipped out to the customer in a GOAT-designed shoe box all in one day. Lu and Sugano had learned their lesson with GrubWithUs: remove as much friction as possible for consumers in the marketplace and make it easy for the product to leave the seller’s hands and ship to the buyer’s door. After four months of operation, in November of 2015, the then-nobody company launched a Black Friday campaign discounting the hottest styles of the year at retail prices. Over a hundred thousand users installed the app to take advantage of the sale, causing the newly-launched startup app to crash repeatedly. Some users got in, but mostly everyone was shut out from access to the discounted sneaks. “We were pretty hated in the community then, but at that point it was better to be hated than to be unknown,” said Lu. The Black Friday fiasco put GOAT on the map, and the company hasn’t stopped growing since. The app currently has 7 million users, up from one million at this time last year. 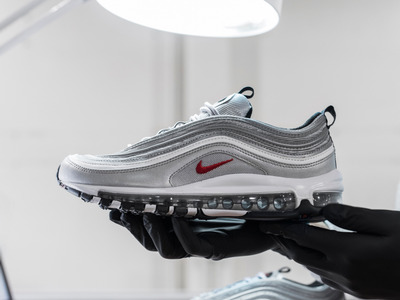 There are 100,000 sellers on the app and the marketplace has more than 400,000 sneakers, including iconic kicks like the Yeezy Boosts, Nike Air Max’s and the Chanel X Pharrell’s, which are listed at $US20,000. The company does not disclose its financial results, other than saying it’s revenue last year increased 500%. The company says that several individual sellers on its platform have raked in as much as $US2 million in sneaker sales. 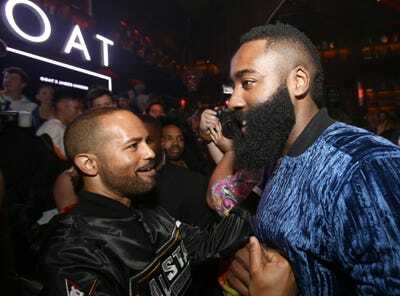 Jesse Grant / StringerJames Harden hosted the GOAT NBA All-Star weekend party. The brand is building its buzz through events like the after party it hosted during the NBA All-Star Weekend in Los Angeles this year. Houston Rockets point guard James Harden hosted the event. And GOAT is building up its bench internally, bringing on former Twitter COO Adam Bain to its board last year. The company’s headcount has swelled to 300 employees on staff, up from 20 employees two years ago. After raising $US60 million in fresh funding from Index Ventures, Accel and other venture capital firms last month, GOAT is embarking on its next phase of growth beyond the app. In February it acquired Flight Club, which has retail locations in Los Angeles and New York. GOAT also recently launched a bi-annual, 150 plus-page lifestyle magazine for the brand called “Greatest” spotlighting people across various industries that are defining their own success stories. But despite the company’s wild success, the founders know they have been fortunate. They know they have caught a culture wave, one that paying sneakerheads are glad to ride. It’s a humbling experience that the guys work to keep in mind.